I sat in the car with a sense of disbelief. Here I was on a short holiday at Landour and a few hours after arriving there, was stuck in a traffic jam. I thought I had left traffic jams and noisy cities behind me in Mumbai, but the honking, the slamming of car doors and the fact that my vehicle hadn’t moved an inch in the last 15 minutes brought a sense of déjà vu. My car driver had switched off the engine and gone off to investigate what was holding the traffic up. It had started raining by then and after waiting impatiently for some ‘progress’, gave up and started looking around. School had just got over and the narrow road was filled with school children returning home and were having to do it by squeezing between the vehicles stuck in the traffic jam to find a ‘route’ to get through. Then I turned left and looked out of my car window into this. The car had been parked outside a tailor’s shop, and you can see just how close that was — we were at hand-shaking distance ! It was such a tiny shop that it had space only for the tailor, a hand-operated sewing machine, and piles of clothes in various stages of readiness. It was the kind of shop that would be called a potti kadai (literally: box shop or a tiny shop) in Tamil. The tailor was trying to patch a frayed shirt collar. As he examined and snipped away at and patched the frayed collar, he didn’t look up from his work even once. Nothing distracted him — the honking cars or the school children or the fact that there was a vehicle parked right outside his shop and blocking any kind of access or that the passenger in the car was observing him intently. Nothing. One of life’s little lessons was delivered (perhaps for the nth time) rather gently — there is no point in worked up over things that are not in your control. For more in the “Travel Shot” series, click here. Landour is a beautiful place, Shraddha. More beautiful than you can imagine. It is home to many more writers than just Ruskin Bond and I was lucky to meet two of them. I’ll be writing about them soon, so watch this space. True, Zephyr. Lessons wouldn’t be what they are if they were not unexpected. Life’s little lessons are so important for I have always been forced to stop and rethink and change directions or gears, and in this case, slow down like I really mean it. Great post! Very observant and thoughtful of you. I can never focus at work even with slightest distraction, and the tailor seems to have mastered on how to concentrate.. The tailor didn’t look up from his work even once ! I can’t focus either if there are distractions. Sometimes, I wonder if it is because I don’t find the task on hand interesting enough or whether I really do have a problem focussing on the task on hand. Something to think about for sure. The Tailor has indeed mastered the art of focusing on his work and not getting distracted at any cost. Very well observed . However one thing comes to mind now , may be this traffic jam , the students leaving school would have been a daily routine for the Tailor , who would have become accustomed to its regular occurrence, hence would have become even more “determined” not to get distracted at any cost. 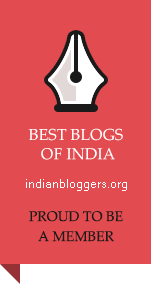 Welcome to my blog, Shubham. Thank you so much for stopping by and commenting. The students passing by would have been a daily occurrence, but an SUV blocking the entrance to his shop may not be a regular one. Still, his concentration was amazing.